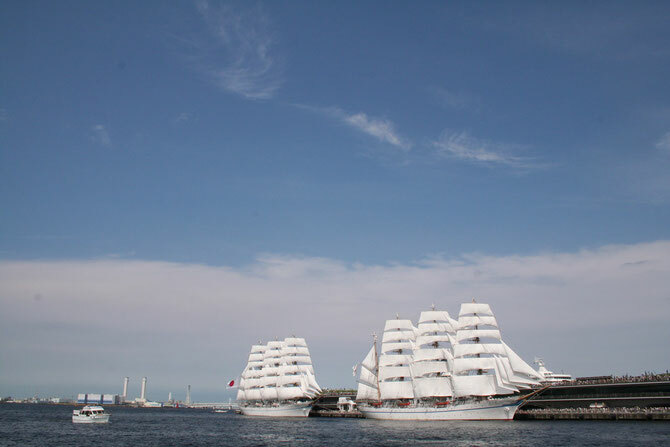 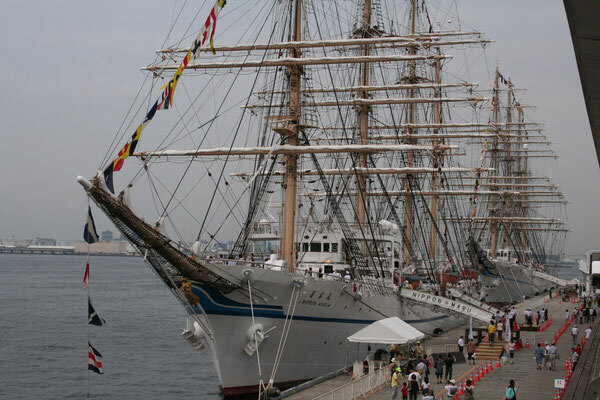 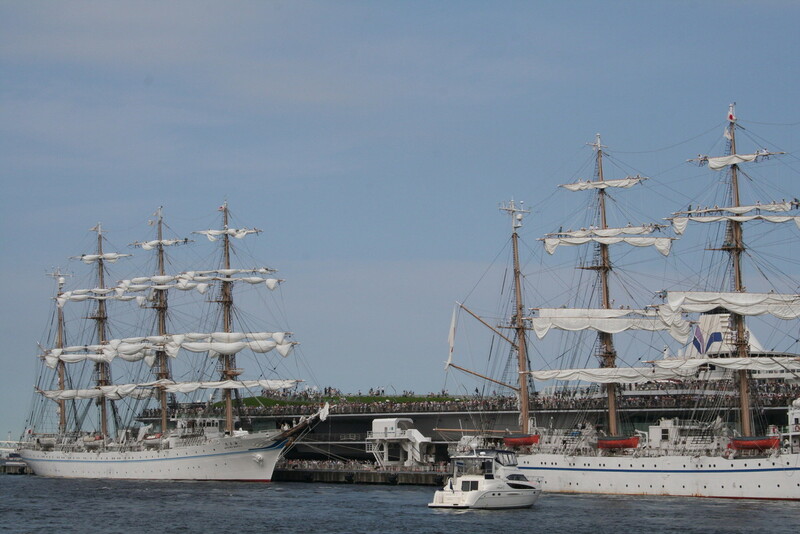 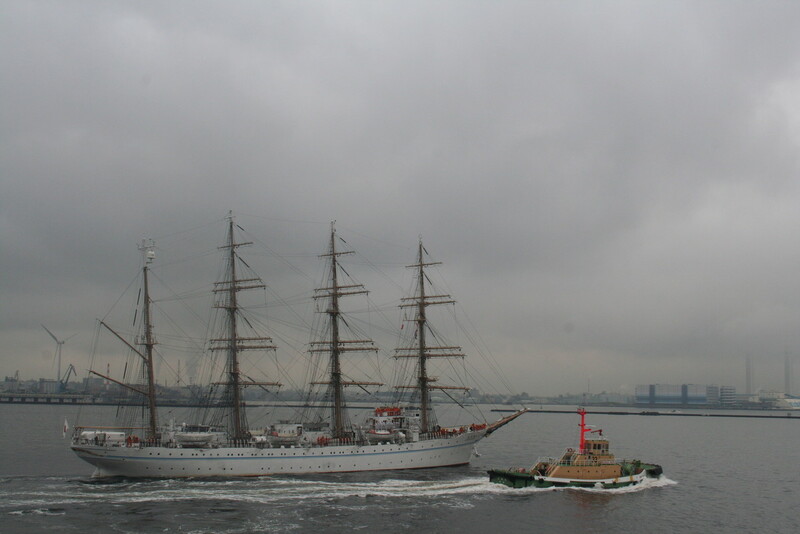 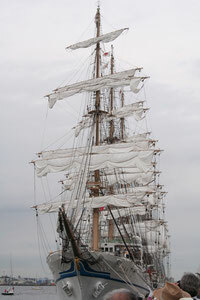 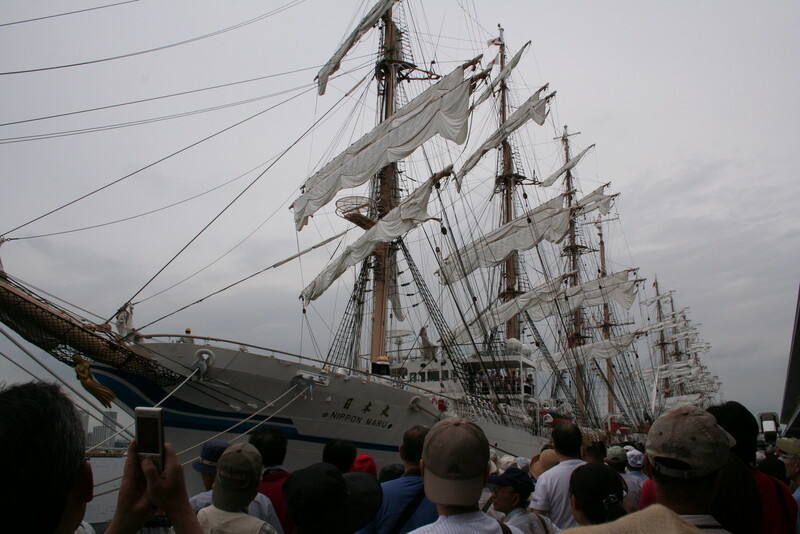 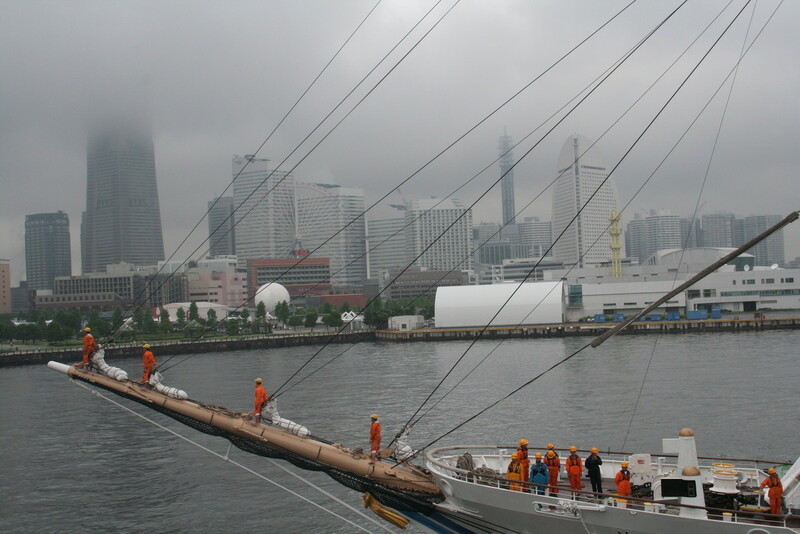 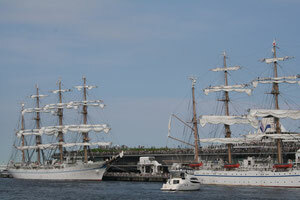 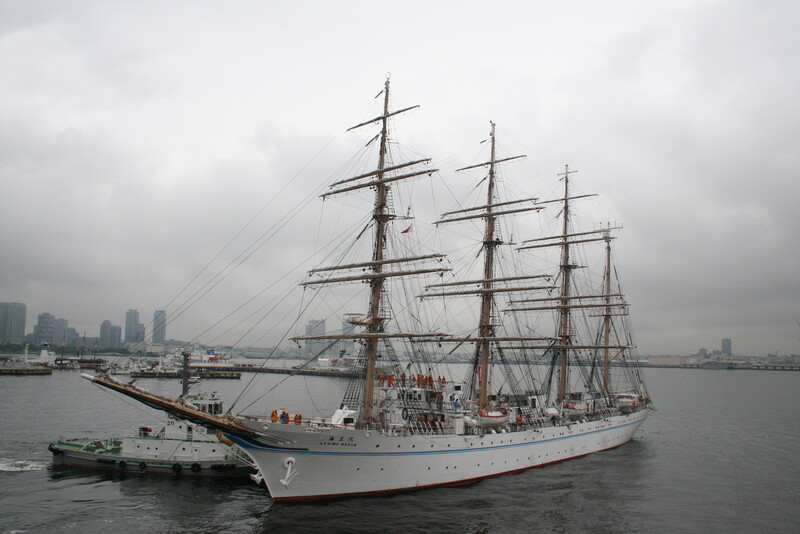 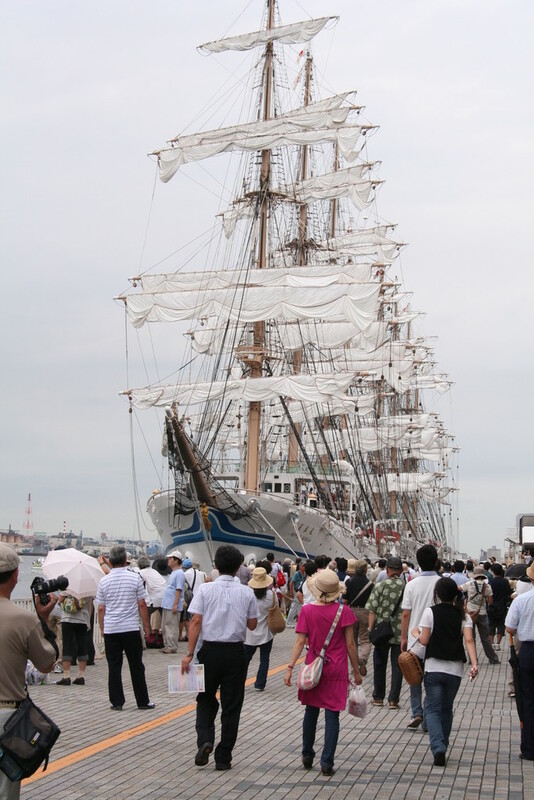 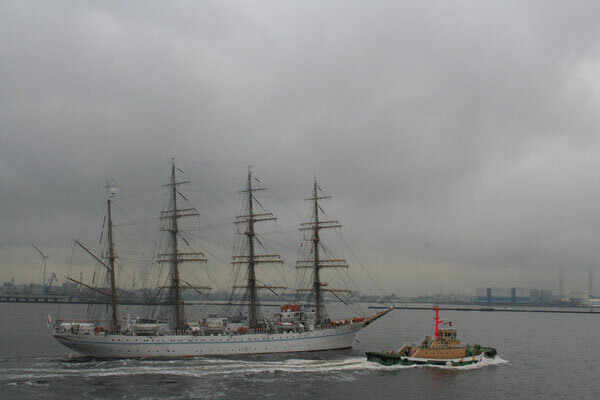 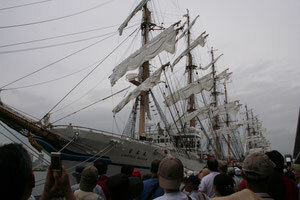 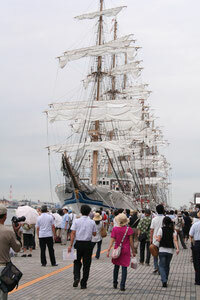 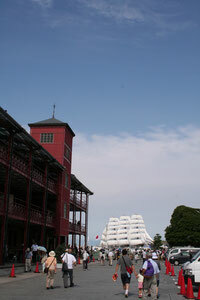 Two sailing vessels, "Nippon Maru" and her sister ship "Kaio Maru", for training seamen, were anchored at the International Passenger Terminal in Yokohama. Each vessel weighs about 2,500 tons and carries around 190 personnel including 120 trainees. 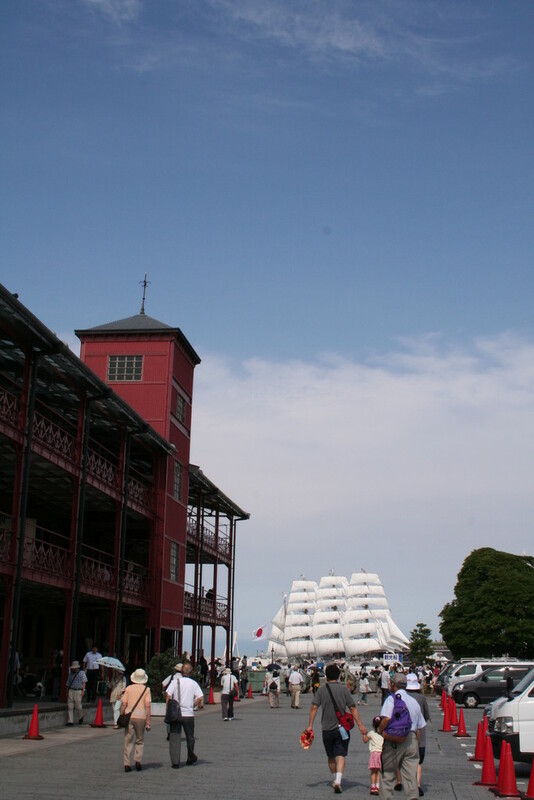 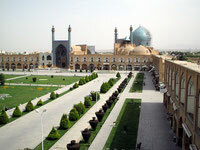 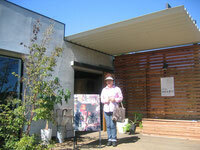 Opened to the public on July 18, 2009. 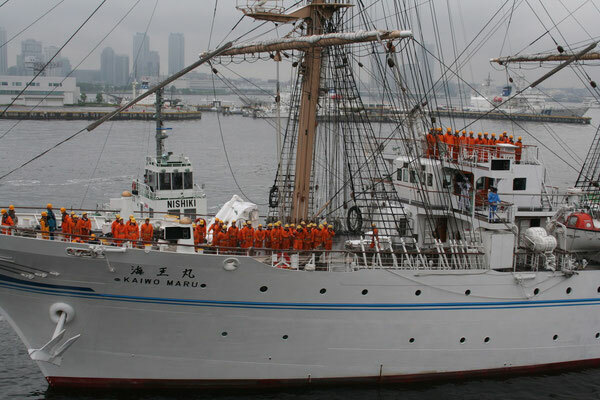 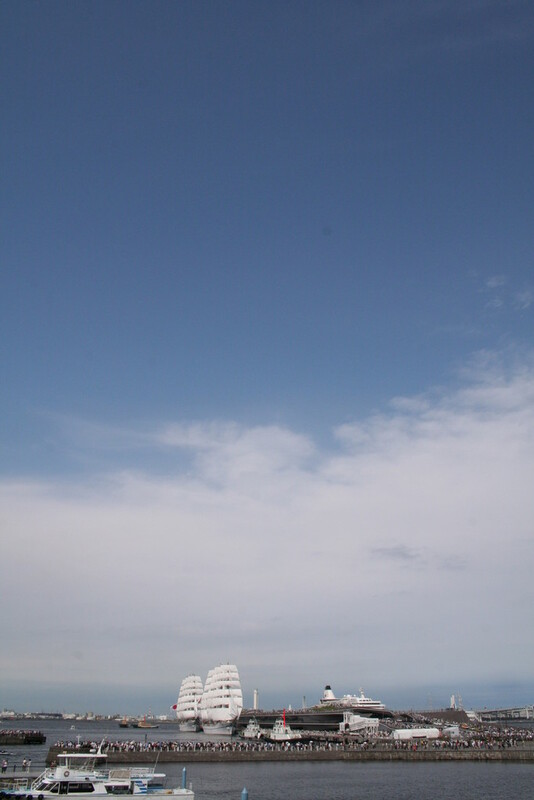 Kaio Maru puts out to sea on July 21, 2009. 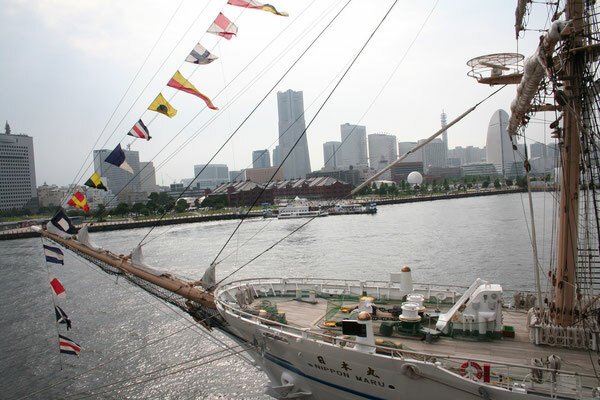 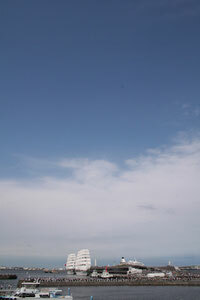 See ocean liners berthed at the International Passenger Terrminal, the port of Yokohama.